Eat Live to Thrive! | Vegan Overcome, and So Can You! Why consider a vegetarian diet plan? In years gone by, most of those who have been closest to me know I have always loved to cook. Get me in a kitchen and I just sort of get lost in my own little world making up something that people love to eat. It’s always been that way. Whether it was a casserole, grilled salmon, my mango thai BAR-B-Q’d chicken, or a tender juicy pineapple marinated steak perfectly seared with all the fixings – I was in my element and happy to be there! Today, I still love to prepare food for people, but what I prepare for them is far better in taste and health benefits than any steak or other grilled masterpiece I ever made. The reason is that there’s been a huge change in my lifestyle. I have gone from a full-on meat and dairy loving maniac to living and thriving from the benefits of a plant based diet. I am speaking of a lifestyle of eating live foods over dead foods; life-giving foods over foods that promote chronic illness and premature death. The benefits of a vegetarian diet plan over a meat, dairy, and processed food diet far outweigh any concern you’ll ever have over the fear of loss of those idolized taste bud experiences your mouth may have gotten used to eating foods that cause sickness, disease, and all sorts of maladies and illnesses. When you learn the massive number of healthy alternatives to a diet of meats, dairy, and processed foods, you will begin to experience more health and vitality than you have never known. I promise. And, your mouth will have totally forgotten about the tastes it used to think was so good, because your taste buds will have come alive to what a live food diet can be like. Mmmm… TASTY DELICIOUS CHANGE! Since my ‘conversion’ to a healthier way of life, I’m often asked why I would give up meat and all the other foods that I used to eat, i.e. sugar-laden deserts that I was famous for making, dairy products, animal meats, and a myriad of cooked (processed) foods. The answer for me is a simple one. My life depended on it. And, here is a news flash for you. YOUR life also depends on what YOUR daily choices of food are. The greatest mistake that you can ever make is to think that you are immune to a diet that includes industrialized foods and an array of toxins, chemicals, additives, hormones, and steroids. You are not immune to the adverse affects that an extended diet of such things will have on your health and quality of life. Reduces stress-producing chemical imbalances in your body. Provides important enzymes that your body needs to build, repair, and maintain your healthy cells. Allows your body to fully assimilate the nutrients in the foods you eat so that your body will not store it as fat. Increases your mental alertness as a result of an increase in oxygen and vital nutrients that feed your brain. Strengthens your immune system and its effectiveness to fight off sickness and disease. Reduces the likelihood of chronic illnesses as your body’s vital organs regain their health. Allows your endocrine system (hormonal glands) to function properly as a result of getting the necessary nutrients and enzymes necessary to function properly. Naturally calms you as your body rids itself of the toxins that affect your hormone levels. Naturally reduces your weight because you will not need to eat as much to feel full (small amounts of LIVE foods vs. large amounts of dead processed foods). Reduces environmental stress-related maladies like that of fatigue, headaches, and allergies. Allows your body chemistry to balance itself which is key to your overall health, vitality and longevity. Provides you a steady flow of uncooked fruits, nuts, grains, seeds, and vegetables which have 100% greater concentration of LIVE enzymes, minerals, and nutrients the totally feed your body what it needs to thrive. Slows, stops, and/or can even reverse the aging process. 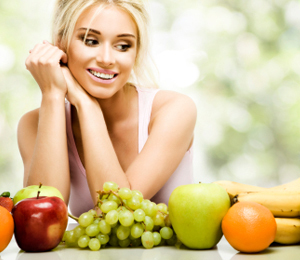 As your vital organs regain their health, you will look, feel, and act younger. Changing your eating habits can be difficult. If you want a healthier lifestyle in your future – one without diet/food-induced chronic illness, obesity, disease, and infirmity – the greatest way to see this happen is to change what you eat. The purpose of this website is to help you do this. If you want to get started in learning how to start changing your life for the better through eating healthier, start by subscribing to the Veggie Chronicles Newsletter. It couldn’t be easier to get healthy! Start today!